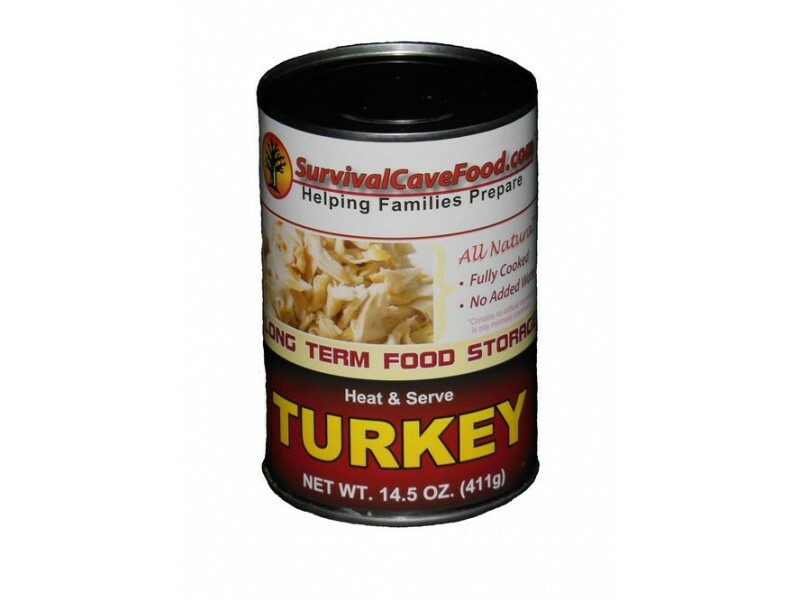 This canned turkey from Survival Cave is an excellent addition to any emergency food stockpile program. Whether you’re just starting your food storage system out, or you want to expand an existing one, adding these 12 cans of high quality turkey is a great idea. Survival Cave has taken care to properly cook and can this turkey so that it will last a long time on the shelf. In fact, there is no set expiration date on these cans, because of the fact that they last so long. 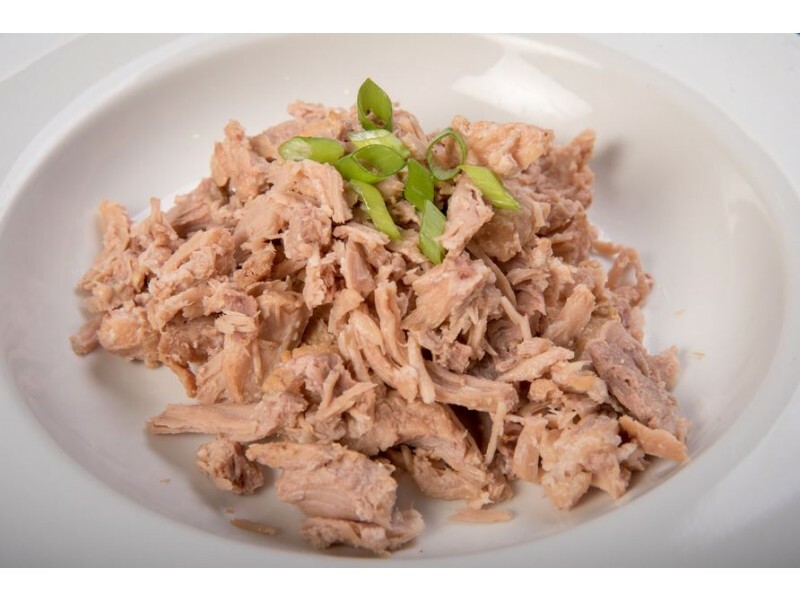 Each order provides 60 servings of turkey, so stock up on enough for you and your entire family. 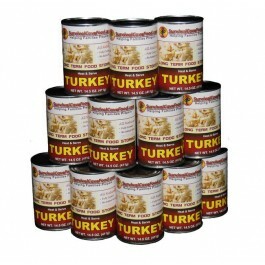 Survival Cave has made this great pack of 12 cans of great tasting turkey. It is perfect for anyone who is looking to stock up on high quality meat so they have it in the event of an emergency. Of course, you can use this meat for any purpose you would like, including as a food for camping or even just to make a meal at home when you don’t feel like cooking up the meat. 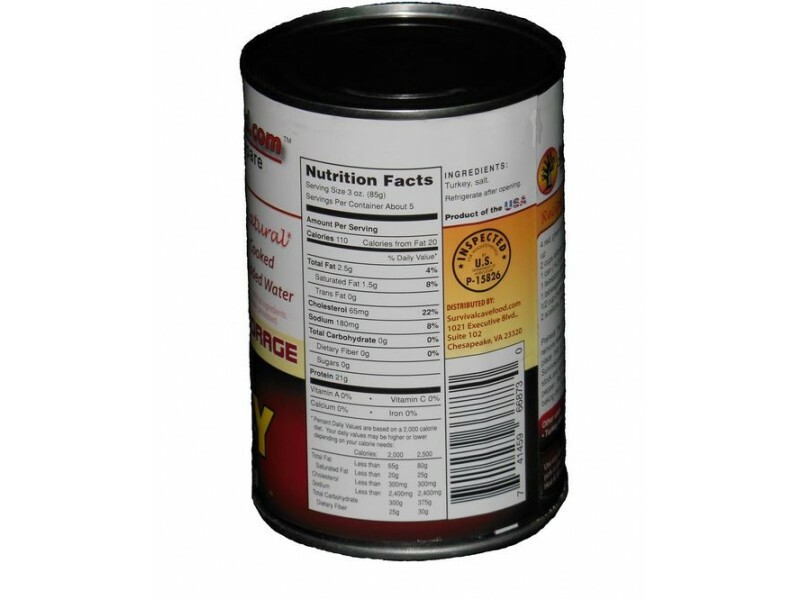 Each can contains 14.5 ounces of turkey, without water or other items added to it. You can open up the can and eat it immediately, if you would like, or easily add the turkey to any type of recipe. You’ll love having this meat available when you want it, and it will give you a great sense of security, knowing that you have enough food to get you through most any type of emergency situation. 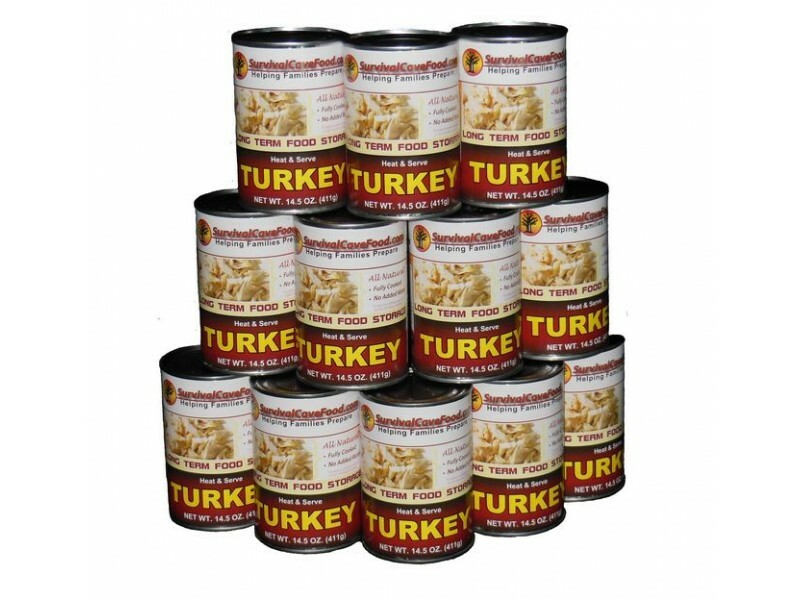 Order your canned turkey from Survival Cave today and it will be shipped right to you right away. You can then store the cans in any closet, pantry or other storage area in your home so that you have it when you need it. Order one pack for 12 cans, or get multiple packs for a bigger supply of this great tasting food. You will get a total of 12 cans with 14.5 ounces in every single can, no water or broth added, simply the all-natural juices from the meat. That’s practically 11 pounds of fresh delicious wholesome hand packed and cooked meat. 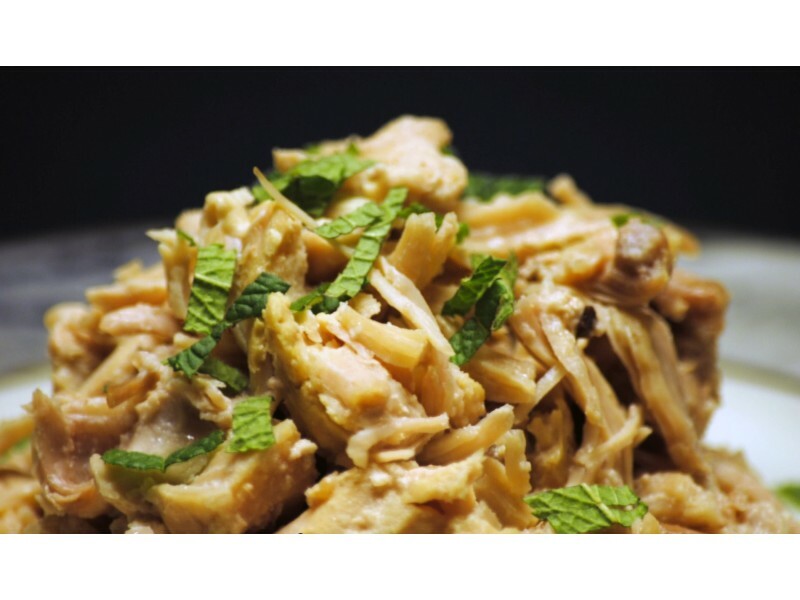 Our canned storage meats are all natural and do not incorporate any MSG, additives, fillers or chemicals. There're low in sodium, low in fat and nutritious for your family members. USDA inspected Survival Cave Food canned meats are merely manufactured using 100% USDA inspected meats. Various other canned meats are foreign meats or state they are prepared in the USA but the meat in reality comes from other countries around the world and therefore are only packaged in the USA. We only use 100% USA meats! Just how long will this canned meat last? Each of our canned meats are prepared in a really different manner than most canned meats you can find. They're slow pressure cooked at a very low 240 degrees and have absolutely NO EXPIRATION date. A suitable shelf life is about 12 -15 years but many people believe it may possibly last 30 - 35 years or even longer.